Heavily involved in sports as a kid, Dr. Waybrant was first introduced to chiropractic by his father who had seen a chiropractor regularly. Dr. Waybrant found it appealing that chiropractors could help people get back to daily life with just their hands. He enjoys being able to help patients of all ages, from young children to those in their early 90s. 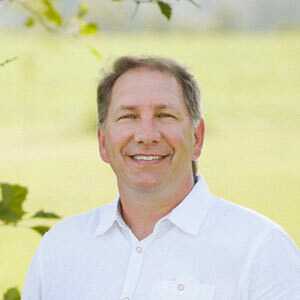 Dr. Waybrant attended Logan Chiropractic College in Chesterfield, Missouri, graduating in 1997. One of his most memorable experiences was doing extra work in the radiology department, where he saw a patient who had finally been diagnosed properly using an MRI. The patient had MS that had been missed a few times before the MRI provided the diagnosis. From offering pain relief to patients with headaches to working with pregnant women to help them experience a more comfortable pregnancy, Dr. Waybrant enjoys seeing the whole gamut of different conditions. In addition to providing chiropractic care to his patients, Dr. Waybrant is also an acupuncture practitioner and a Certified Pedorthist, who is trained to manage patients’ orthotic needs. When he’s not at the practice, Dr. Waybrant enjoys family life with his wife and two young sons. The family loves participating in sports such as hockey, soccer and golf. He also stays busy as the coach of his sons’ teams. If you’re ready to feel your best, contact us today to schedule a convenient same-day or evening appointment with Dr. Waybrant!